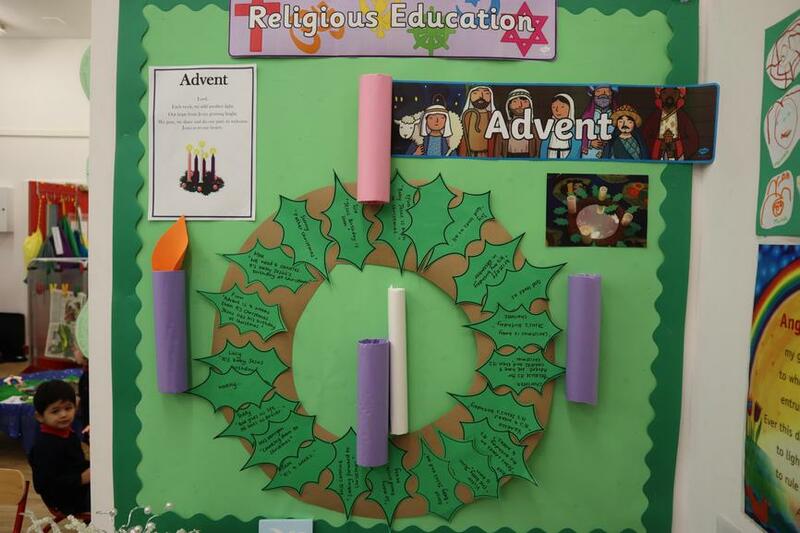 Our Prayer Leaders have designed a number of posters to support or spiritual journey. 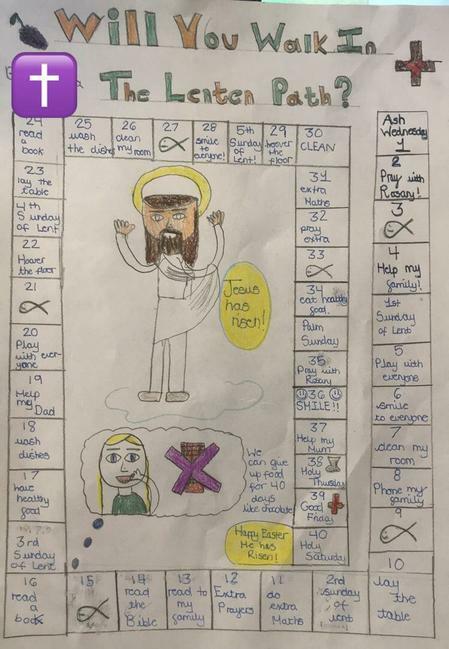 Isabella in Year 5 designed this excellent poster where she has designed a Lenten path for us to follow - thank you Isabella! 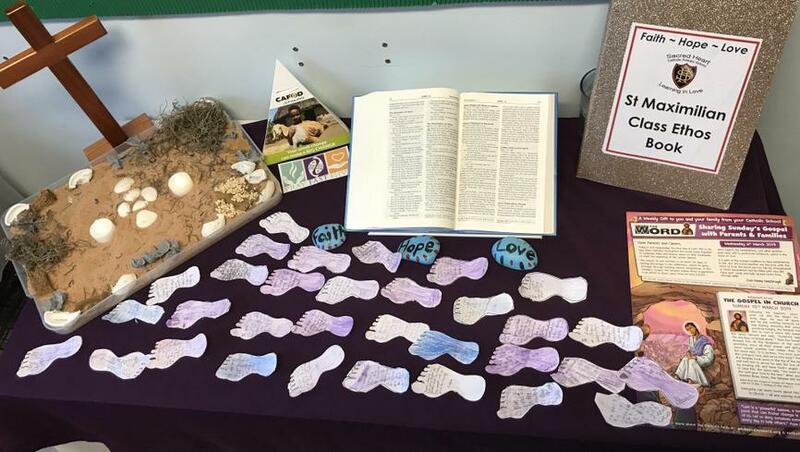 Year 3 created a Lenten focal areas as part of their Lenten preparations. 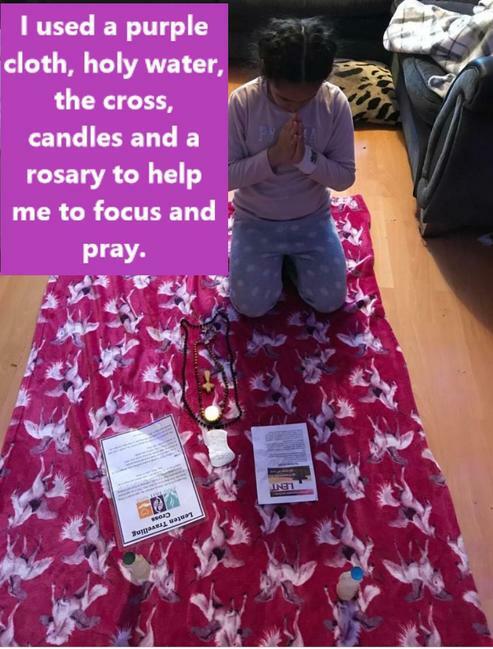 Sedina (Y3) explaines the experience, "This was special as we all go to take part in prayer and share our Lenten promises. It reminded me how we can walk in the path of Jesus when he was in the desert fasting and praying to God." 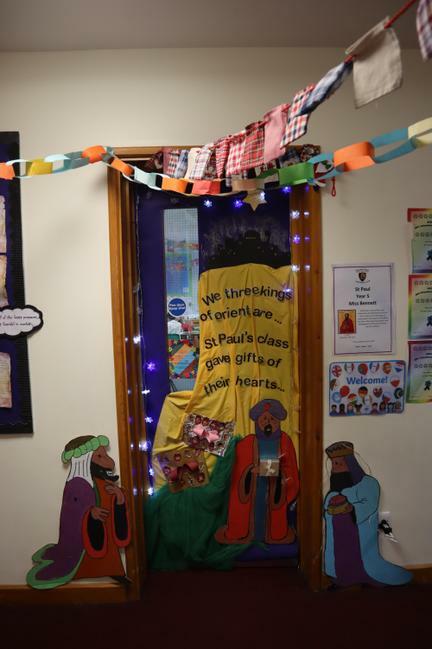 The Lenten Travelling Cross has been visiting families over the last week to help guide us spiritually during Lent. 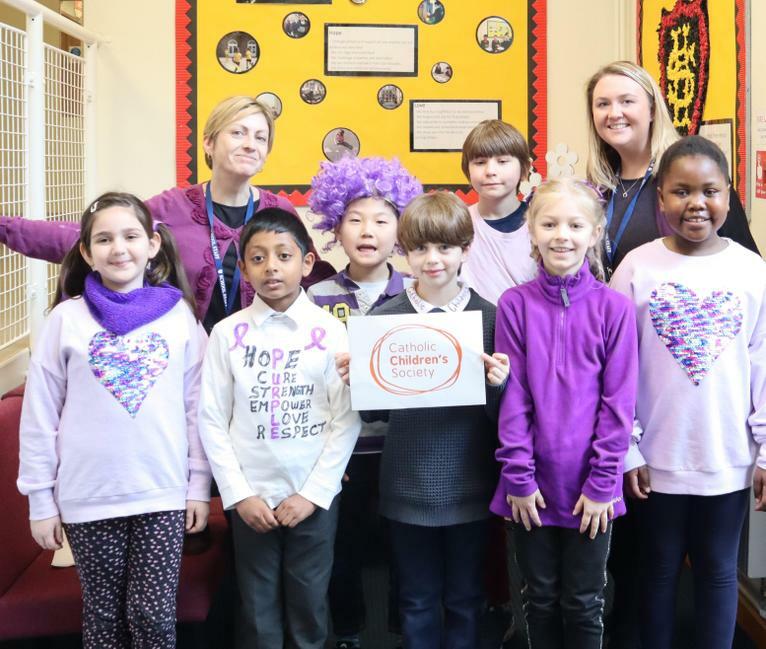 Please make sure that you take a photo and email it to your class teacher or Miss Heffron. Alternatively, you can tweet it to us! 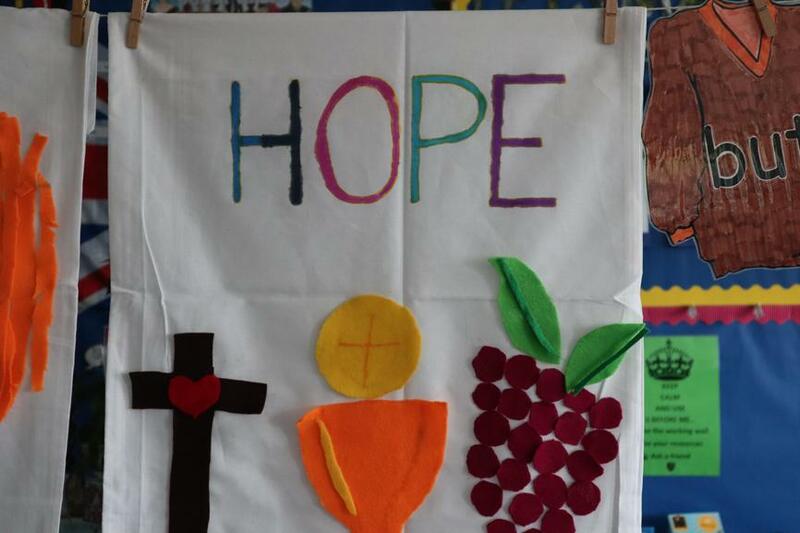 Here, you will find examples of how we are demonstrating our current core value of hope. 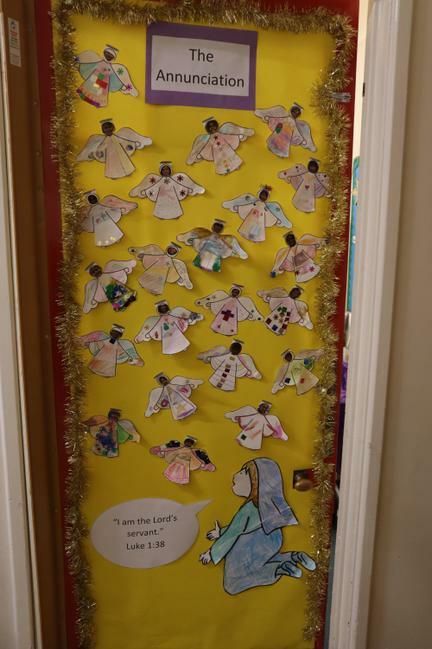 To prepare during Advent, we used the classroom doors to retell the story of the Nativity. 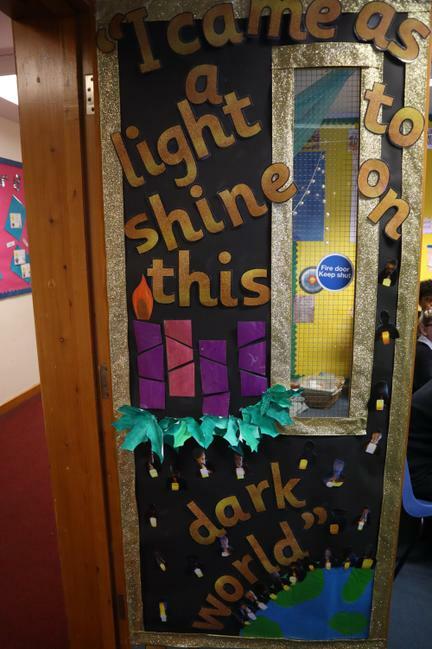 Below are some of our doors! 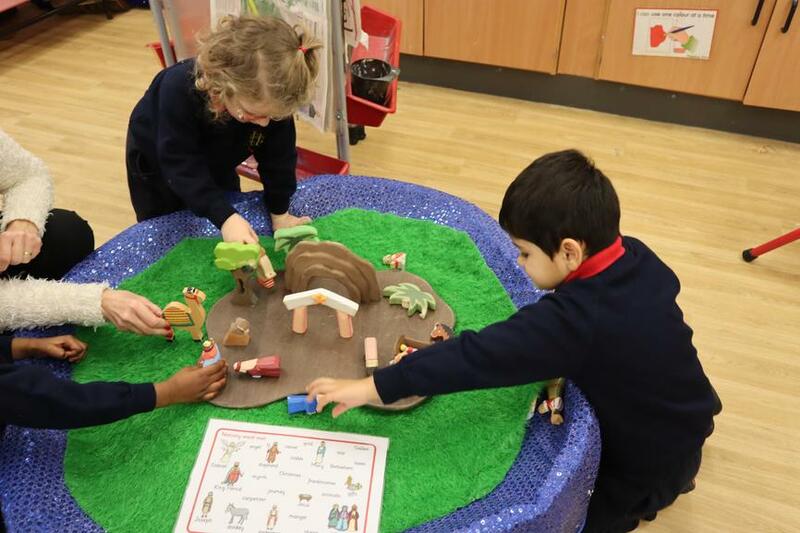 Our friends in Nursery made their own Advent wreath and used the Nativity statues to retell the story of Jesus' birth! 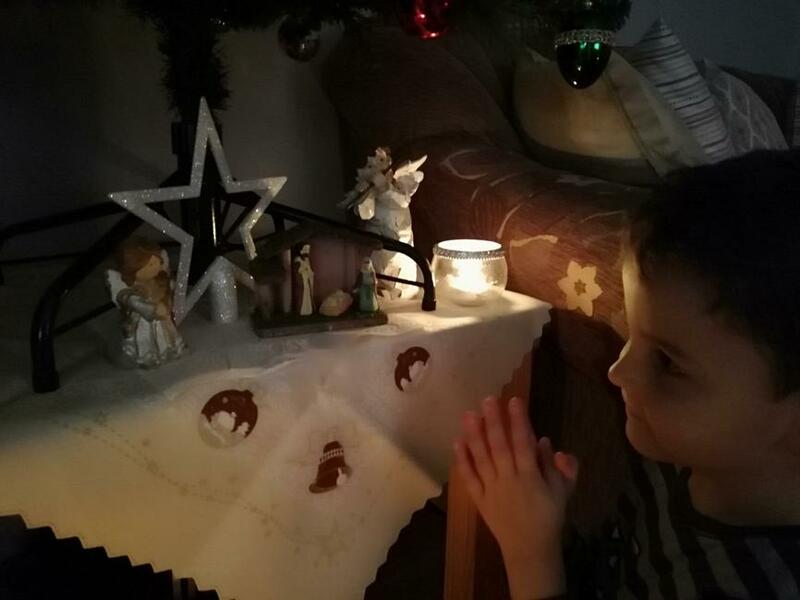 During Advent, the Travelling Crib visited all homes to encourage us to prayerfully prepare to welcome Jesus into our hearts. 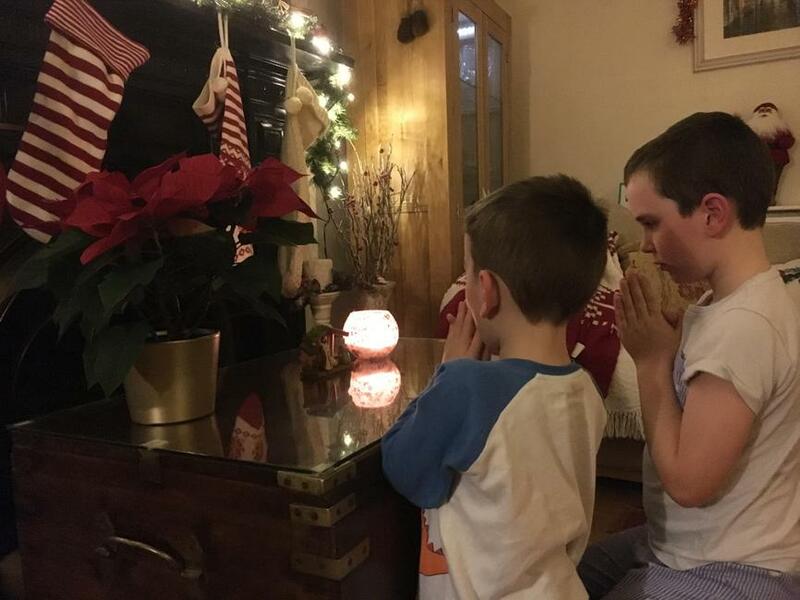 Here are just some images showing how our pupils experienced the Travelling Crib at home. 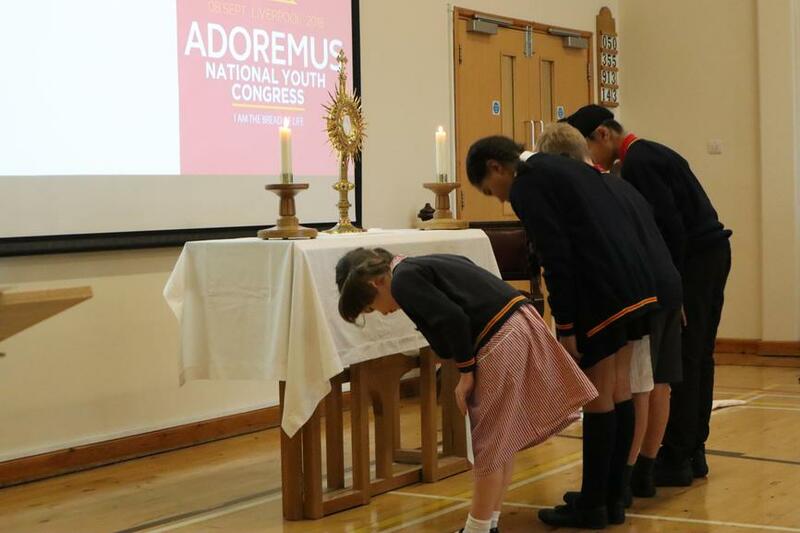 We began the term by celebrating Adoremus. 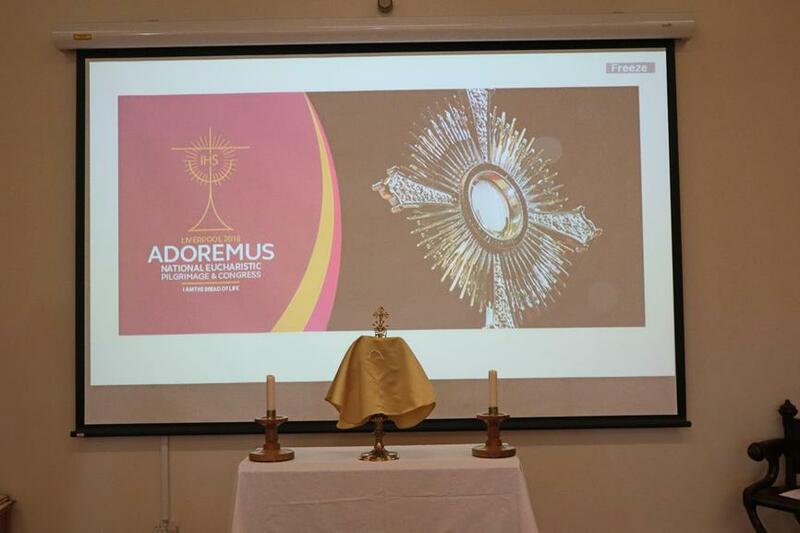 Adoremus will be a unique opportunity for the Church to gather and reflect on the centrality of the Eucharist and particularly to explore the place of Eucharistic Adoration. We dedicated time each day to learning about the Eucharist and Adoration. 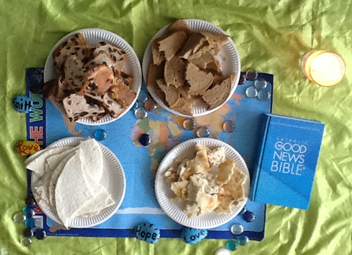 Some of these activities included sharing and making bread, making monstrances and liturgical art. Below are some of the pictures of what we did. 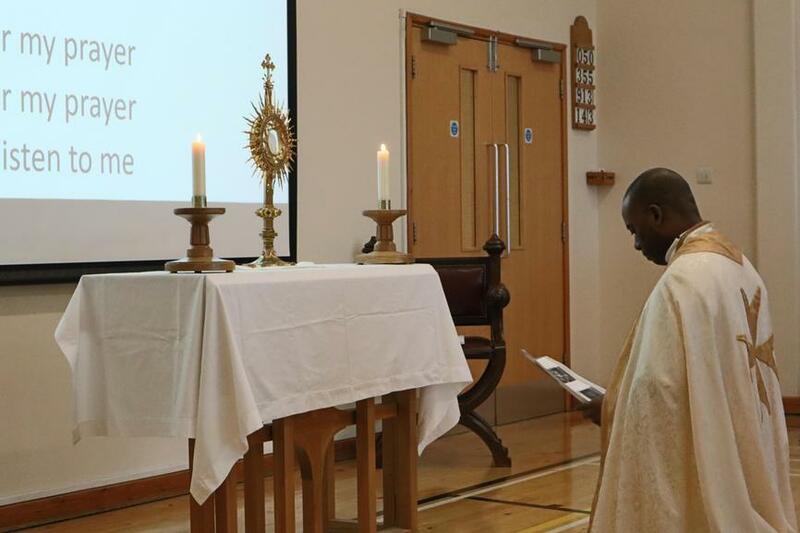 To conclude the week, we led a special Adoremus Liturgy led by Father Ted and pupils from across the school. We spent time reflecting before experiencing Eucharistic Adoration. And for sending your Holy Spirit to help us. 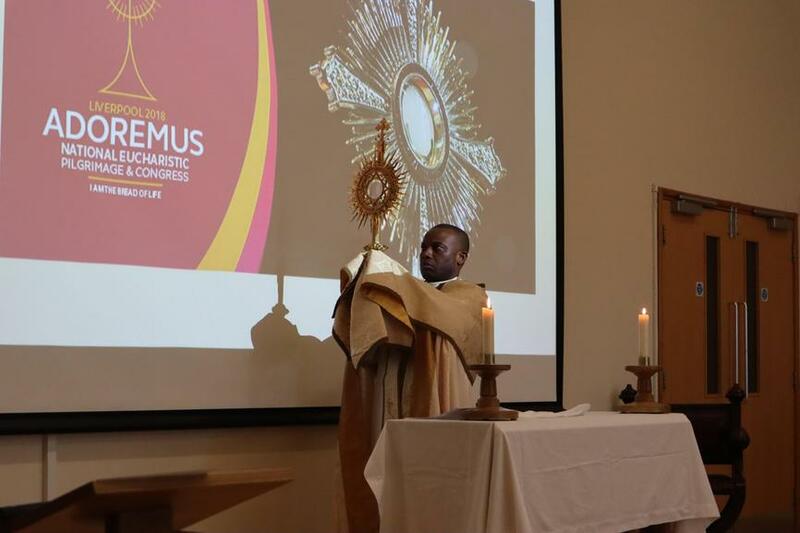 Strengthen our friendship with Jesus who is with us in a special way in the Eucharist. struggling or lonely, and share your love with them.